I have people message me daily about the Readings I do, and how to go about ordering one. In order to make this a more user friendly process I decided to list some here for you to easily access at any time! Are you seeking some guidance today to gain clarity in an area of your life? One of the below readings will bring the clarity you seek to move forward confidently! All readings are emailed to you to refer back to in the future, so it is important that you make sure your correct email address is in PayPal as this is how I will contact you, and how you will receive your reading. Listed below are all of the readings available for you to select from today! Tiffany Stiles is a Certified Realm Reader! Did you ever wonder what Angel Realm your soul originates from? Do You Keep Seeing Repeating Number Sequences? Find out what the numbers are trying to tell you! Get a Numerology Reading Today Based Off Your Birth Name! Partner Aura Readings~ See If You & Your Partner Are an Energetic Match! Aura Readings ~ Determine Your Dominant Aura Signature! Tiffany Stiles is an Aura Reader! She has read thousands of Auras with 100% accuracy as energy does not lie. This Aura Reading is to determine your “Dominant Aura Signature.” This relates to your personality traits, it will also aide in how you relate to others, and the life choice decisions you make. This is a comprehensive reading that will be emailed to you to refer back to at any time. Tiffany-Stiles@sbcglobal.net 7 photos of yourself after purchase. Please make sure these are fairly close up images “Outside In Good Sun Light with No obstructions in the background. Preferably clear blue sky background. No hats, or sunglasses in photos accepted. PLEASE READ DIRECTIONS ABOVE BEFORE SUBMITTING YOUR PAYMENT. Aura Reading to Determine Your Dominant Energetic Signature and Unique Vibarational Frequency. The Aura Reading Encompasses a Comprehensive Reading Revolving around: *Personality Traits Attached to Your Dominant Aura Signature *Mind/Body *Social Life *Relationships & Intimacy *Career & Finances *Health, Well-Being & Growth PLEASE MAKE SURE YOUR CORRECT EMAIL ADDRESS IS LISTED IN YOUR PAYPAL AS THIS IS WHERE CORRESPONDENCE TAKES PLACE. Are you sensitive to Energy? Do you tend to take on the energy of others, and have a difficult time discerning if it’s your energy you’re feeling, or someone else’s? Do you want to learn how to properly shield your Energetic Field, Transmute Negative Energy to Positive, and keep yourself grounded with Earth’s healing resonnance? With this service Tiffany will email you an Empath test to take to determine which type of Empath you are. You will be given written instructions on how to ground yourself properly, how to transmute energy and how to shield your field. You will be able to fully understand this gift better and feel empowered to use your gift in service of others. Many times people who are highly empathetic see their gift as a curse. But after this empowering guidance you will understand you were given the gift to feel in order to heal others! There are many helpful tips Tiffany will give you to pull out of your metaphorical “Empath Toolbox” to use when you feel the need. Get Empowered today and begin using your gift! DIRECTIONS: After payment email Tiffany-Stiles@sbcglobal.net titled Empath Guidance. Tiffany will email you back the test with instructions on how to proceed and begin becoming Empowered! ⚡🙏⚡ PS.. 1.) You will also be given a listing of the best crystals to use on your path. 2.) You will be given guidance on which essential oils will be best to use. 3.) You will be given directions on how to perform an "energetic clearing" bath to boost and clear your energy field. Please note that due to ethical reasons I will not do readings revolving around health or legal issues. All readings are for entertainment purposes, and should not replace medical care for physical, mental, or emotional needs. 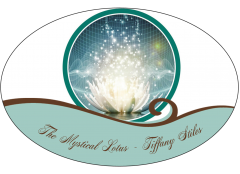 Previous Previous post: Energy Report Update by Tiffany Stiles ~ Crystalline Frequencies- All falls into alignment.